If your site runs on BuddyPress, you can use the BuddyPress addon not only to show authors their stats and their payment history, but their PayPal settings as well. 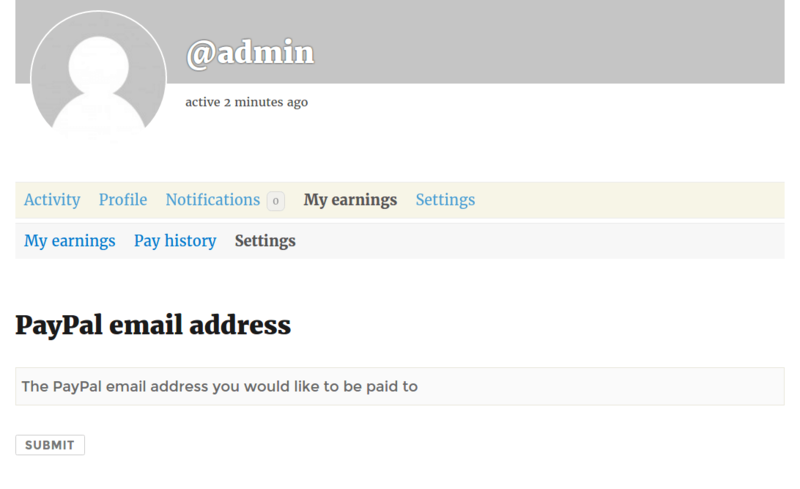 In fact, the Settings tab will provide users the ability to enter and change their PayPal email address. Using WP functions and PPC PRO variables makes sure your implementation will work for sure, even in multisite and with future updates of the plugin, but if you need the specific wp_usermeta meta key, it’s wp_ppcp_paypal_email. But hey, just don’t use it unless you really know what you are up to!